A typical lorica segmentata, the armor favored by Roman soldiers, covered only the chest and shoulders. In order for a soldier to protect their arms as well, they would have to don the additional Lorica Segmentata Arm Attachment. 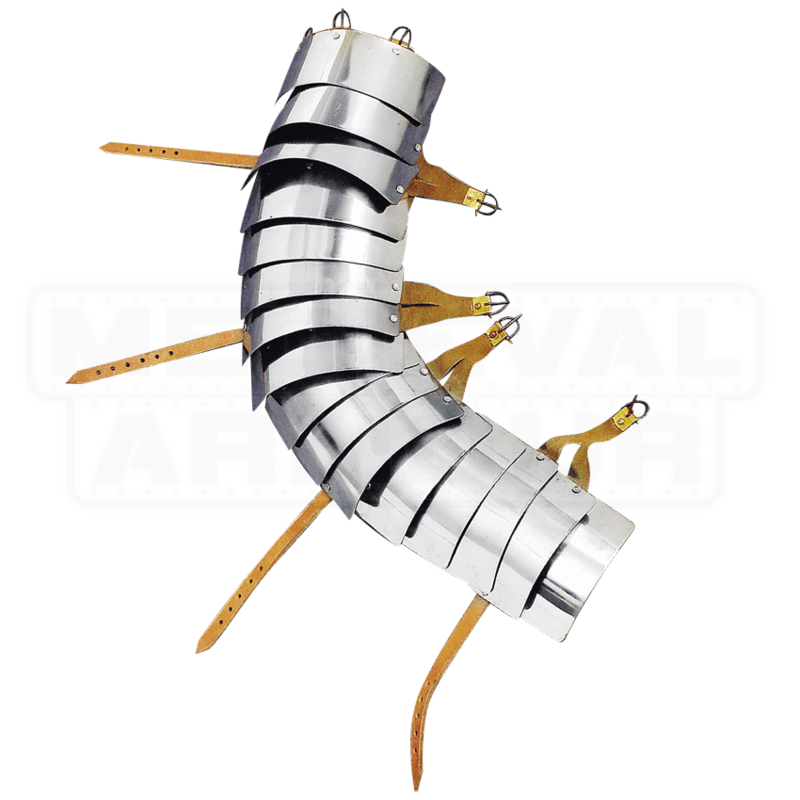 This piece of armor was often referred to as a manica, and consists of several overlapping metal segments. These segments are attached to a leather backing, which is worn over the arm for an added level of protection. This model is made from 18 gauge mild steel plates and features a highly polished look. The manica is secured in place via leather straps that go around the arm and features buckles on one end. 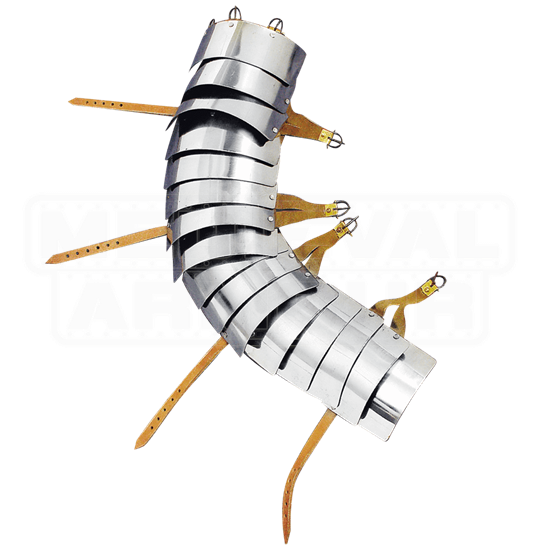 Typically, this Lorica Segmentata Arm Attachment would have been favored by gladiators, although it was also worn by Roman soldiers who wanted an added bit of protection whenever they wore their armor.